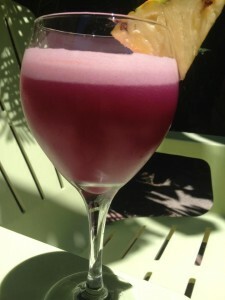 This is a great little purple drink full of bromelain and anthocyanins. Tastes really good chilled. Check out the benefits of red cabbage juice.